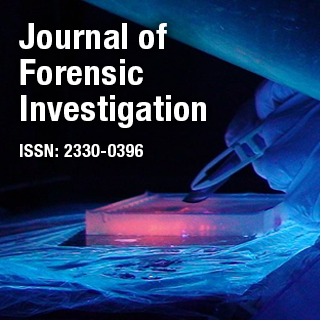 Journal of Forensic Investigation deals with the latest research in the field of investigation with respect to science and technology elevating the facts, ensuring social justice and well being. The journal focuses mainly on forensic medicine, genetics, criminal justice, forensic investigation technology, molecular validation of unknown and controversial relationships, legal proceedings and medical ethics. Dr. Robert Allen is Head of the School of Forensic Sciences, Oklahoma State University, USA, and also Director of the Human Identity Laboratory. His research focuses on human variability at the DNA level and in the application of modern DNA analysis techniques for the purpose of human identification.